Disclosure: This post is sponsored by iHerb. Power fuel. Energy boost. Yummy treat. Anytime snack! I love to nibble these as a desk-side snack. They also make a great pre-workout snack. Get my recipe and a special discount code off your next iHerb order.. These turned out exactly as I had hoped! I am in love with the sweet, nutty, vanilla bean flavor. Love the chewy and smooth, yet nutty, texture. You can really taste the complex flavors in these little, lovely bites! Really happy to be working with iHerb on this post!.. iHerb Discount For You. 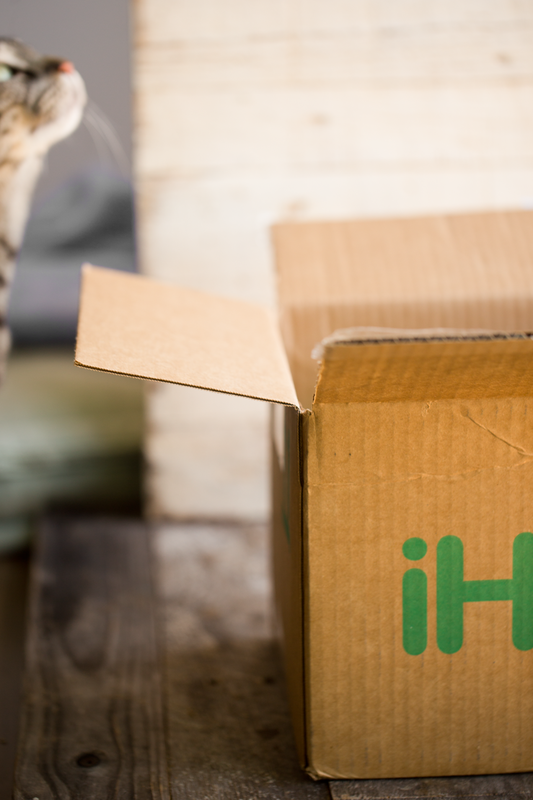 When you use this link for your next iHerb order, you will receive a special discount of 5% off. And if you are a new customer, you can also add code WELCOME5 and receive an additional $5 off any order over $40. Online Shopper: Me. If you are like me, you find yourself shopping online more and more these days. For everything! The best part about shopping online is that you can quickly and easily compare prices and save money. Shopping online saves me so much time and money. I literally ordered the ingredients for this recipe on Friday, had my delivery plop on my doorstep on Monday, and I was nibbling balls by lunchtime. 1. Brand Power. iHerb has been in business since 1996 and is one of the world's largest online stores for natural products. 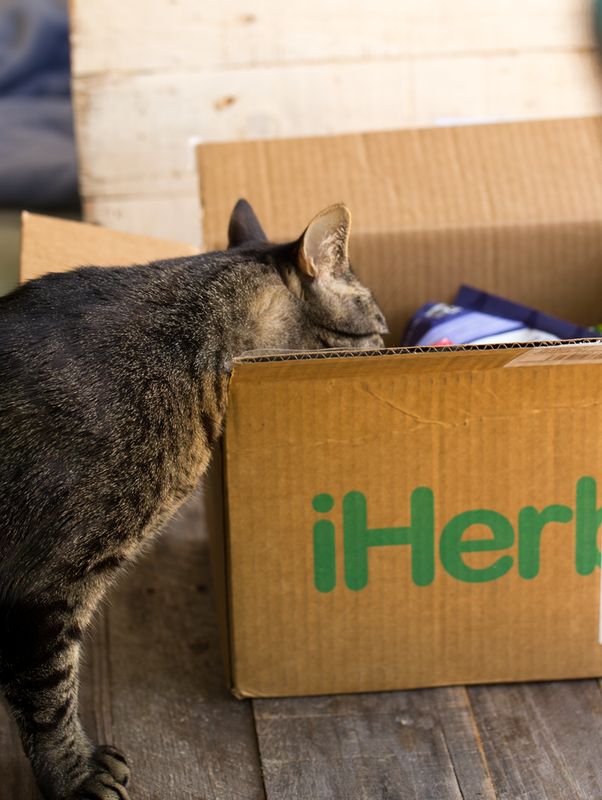 iHerb products can be shipped to over 160 countries. And their Customer Service team provides support in 10 languages. 2. Freshness Factor. This is huge for me. Sometimes I am a bit uncertain about the freshness of ingredients I shop for online. Well, check this out..
"iHerb has one of the highest product turnover rates in the industry, so they offer the FRESHEST products possible. Their inventory turnover rate averages to 8.1 times per year; among the highest turnover rates, if not the highest, in their industry. This means that iHerb products are on the shelf an average of only 45 days!" ..That is something I really value as a customer. 3. I Love Saving Money. 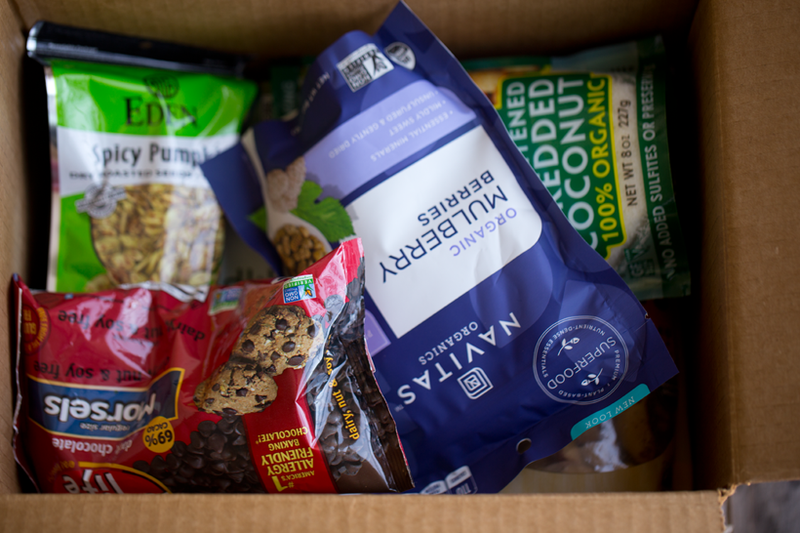 Shopping online is a money-saver, especially for things like supplements and grocery pantry items. iHerb prices are typically 30 - 40% less than in stores like natural food stores. Those savings can really add up over time! I also love to browse iHerb's specials page. 4. Climate Controlled Warehouses. iHerb’s distribution centers are entirely climate-controlled, which protects the products from such conditions as humidity, heat and cold. That is so important when purchasing heat-sensitive supplements or superfoods. 5. Dedicated Vegan Home Page. iHerb has a dedicated vegan page which shows you all the vegan beauty products, supplements, groceries and more. And for cooks like me, they carry over 5,000 grocery products, so I can load up my virtual shopping cart to re-stock my real life vegan pantry .. without leaving my kitchen! 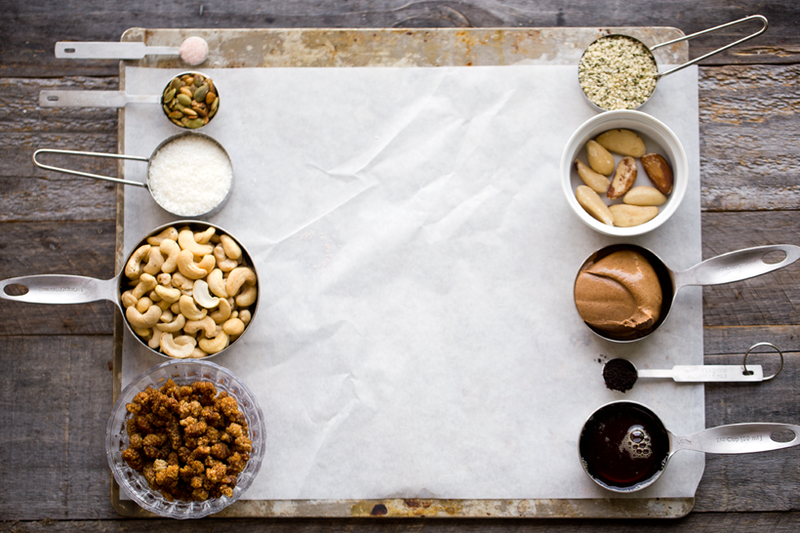 Now, let's talk about today's recipe: Blondie Power Balls. After a bit of brainstorming for this recipe, I went all in with blondie flavors. These absolutely taste like nutty cookie dough or blondie bars. 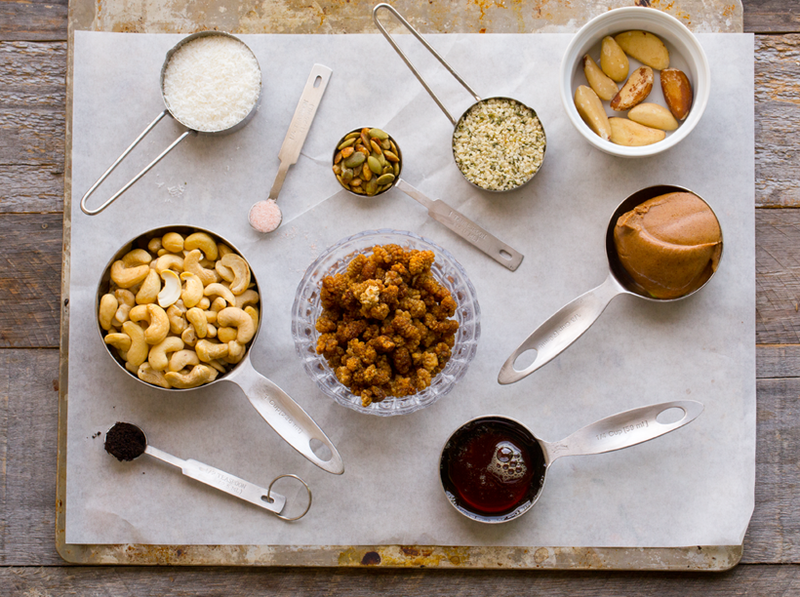 With creamy cashews, rich vanilla bean and cravable almond butter - and more. These are sooooo good! 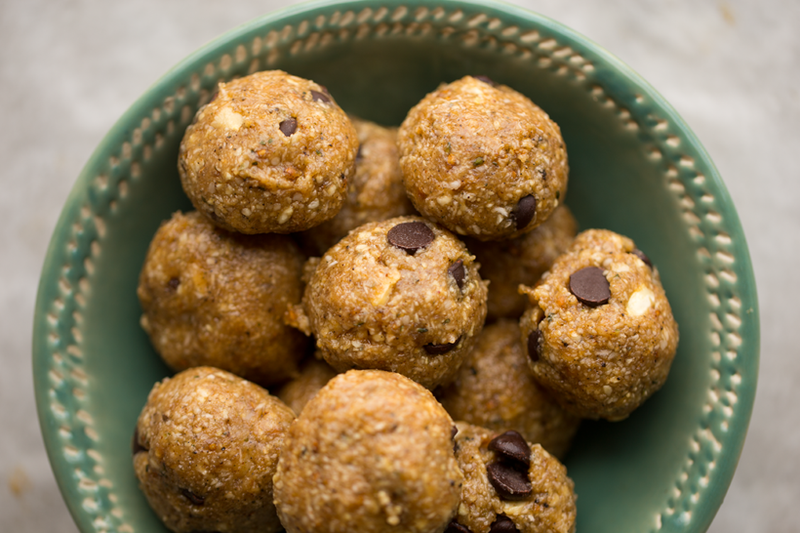 You will love having them in your fridge or freezer whenever a snack attack arises. ..watch me make these little gems with a bonus video at the bottom of this post! How to Store These Balls. Freezer storage will keep them good for a few weeks. When stored in the fridge, they will store with a slightly softer texture and keep for about a week. After that they tend to dry out too much and would need to be moved to the freezer to preserve freshness and flavor a bit longer. Blondie Flavor. 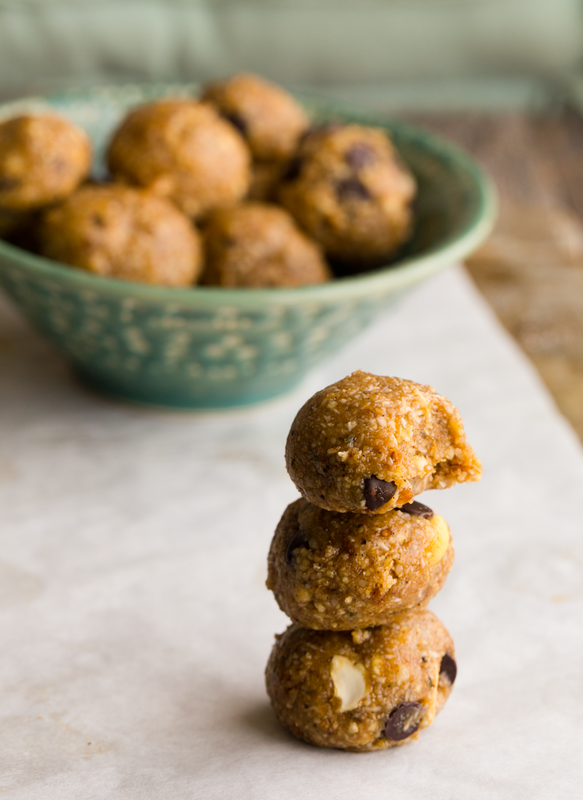 These balls have the flavor of vanilla bean and nut butter with natural sweetness from mulberries, agave and coconut. 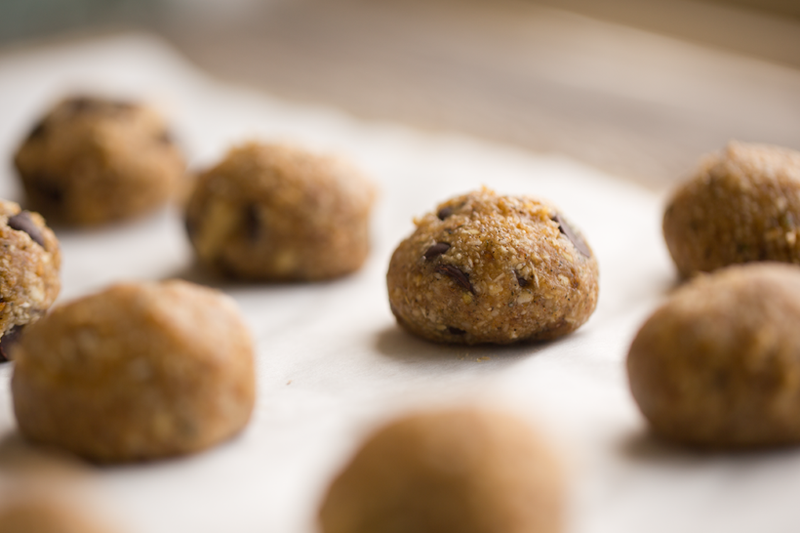 If you want, you can fold in some vegan chocolate chips for a chocolate-y flavor boost that tastes a lot like vegan chocolate chip cookie dough. You could also add in cinnamon and/or cayenne for a spiced accent. 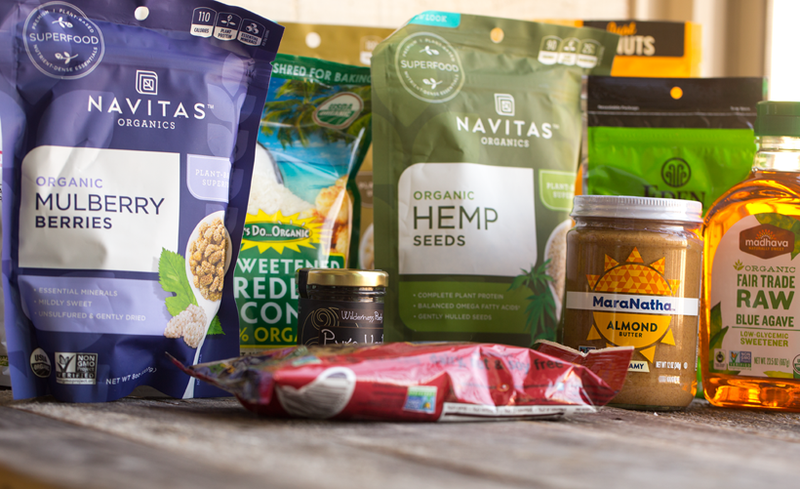 - Hemp seeds contain healthy fats and plant protein... I love their buttery soft texture. - Almond butter contains, folate, copper, magnesium, iron, B vitamins, protein..
- Coconut flakes are rich in fiber.. they add a lovely texture! - Pumpkin seeds are a good source of zinc, protein, magnesium, iron.. I love the spicy flavor I used by Eden. they make a yummy snack all on their own! - Dried mulberries add natural sweetness and chewy texture. Think of them as a nutrient-dense alternative to raisins. ...basically I had to add the "dot dot dots" because all these ingredients are packed with a wide array of vitamins and minerals and more all natural good stuff. Plant Power. If you are looking to add more nuts and seeds to your diet, these are the perfect snack for you! How Sweet Do You Want Them? I made a few versions of these. And the main tweak I made was the agave syrup. If you want a truly "sweet treat" flavor, add in 3-4 Tbsp agave syrup. If you want minimal sweetness, add in 0-2 Tbsp agave syrup. I say zero because, yes the agave is actually optional. If you omit the agave and your balls are feeling a bit too dry you can add a splash (1-2 Tbsp) of water or melted coconut oil - as a liquid sub. If going for the sweet treat flavor, you could also use maple syrup in place of the agave. 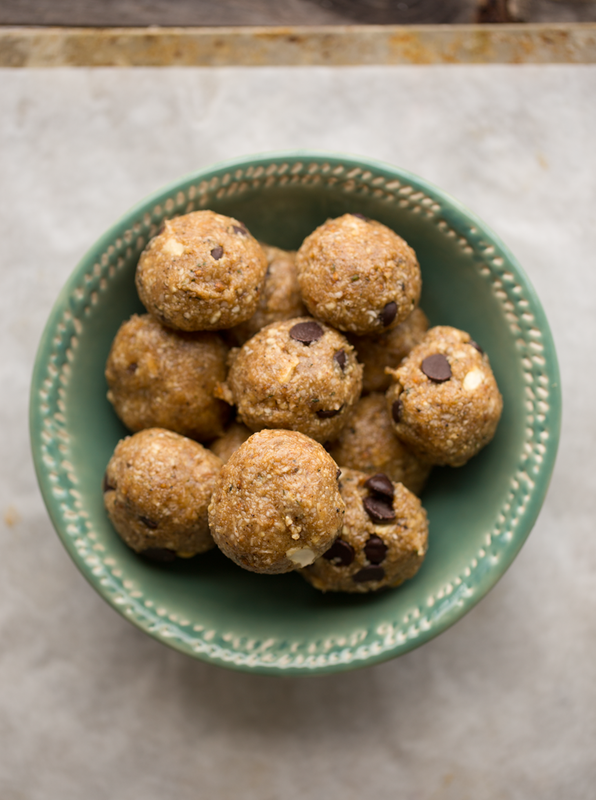 Basically, the cool thing about these power balls is that you can absolutely feel free to tweak the ingredients a bit. Instead of Brazil nuts, use almonds. Instead of almond butter, try peanut or cashew butter. Instead of pumpkin seeds, add more hemp seeds. Feel free to get a little creative with these balls and make them your own! ..And if you are browsing iHerb, you can see just how many nut + seed + dried fruit superfood products they carry that you can get creative with! 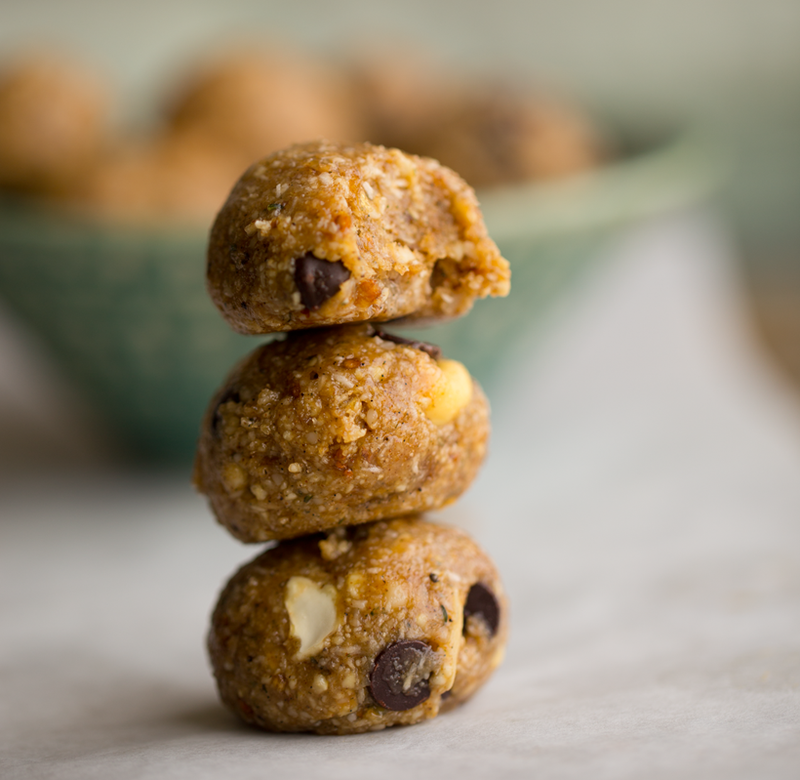 These delicious, healthy protein power balls are loaded with blondie flavor from nuts, seeds and vanilla bean. 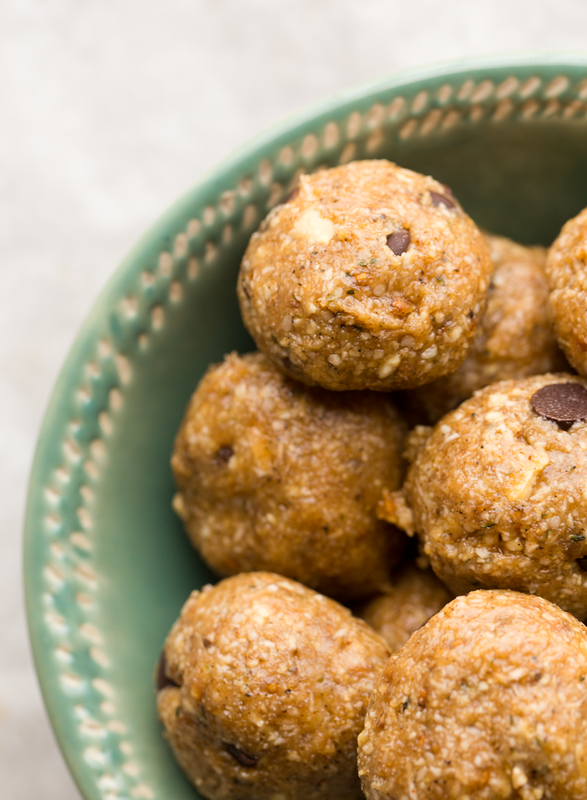 These balls are the perfect afternoon or pre-workout snack. Pour the mulberries in a medium bowl and fill with hot water. Allow to soak for about ten minutes. To speed up the softening process, you could microwave for about 10-30 seconds, this is optional though. Set aside while softening. Add the cashews, Brazil nuts, hemp seeds and pumpkin seeds to a high speed blender or food processor. Pulse until the nuts turn to a fine to crumbly powder. It is ok if there are still a few larger chunks, but the majority of the ingredients will now be a powder. Pour the nut and seed powder into a large mixing bowl. Add in the vanilla bean, salt, 1/4 cup coconut and optional cinnamon. set aside. Drain the water from your mulberries. They should be soft and moist now, but not overly soggy. 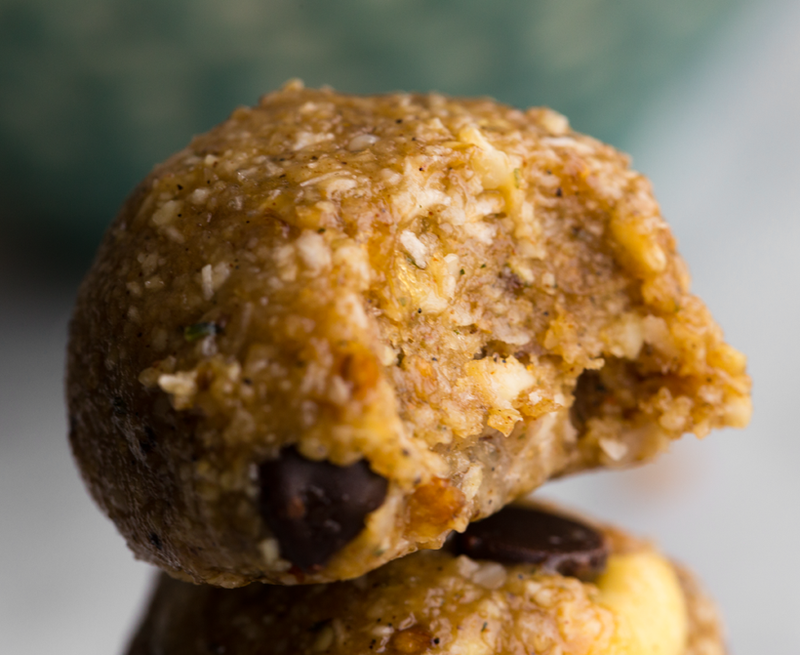 Place them in a blender or food processor along with the almond butter and agave syrup. Blend until smooth. You will need to stop and scrape down the sides a bit while blending. Tip: If your nut butter was a bit dry, or if you are having trouble blending this mixture, add in 2 Tbsp melted virgin coconut oil. You can also add in 1-2 Tbsp warm water to help loosen things up. But if you soaked your mulberries long enough, they should blend pretty easily. 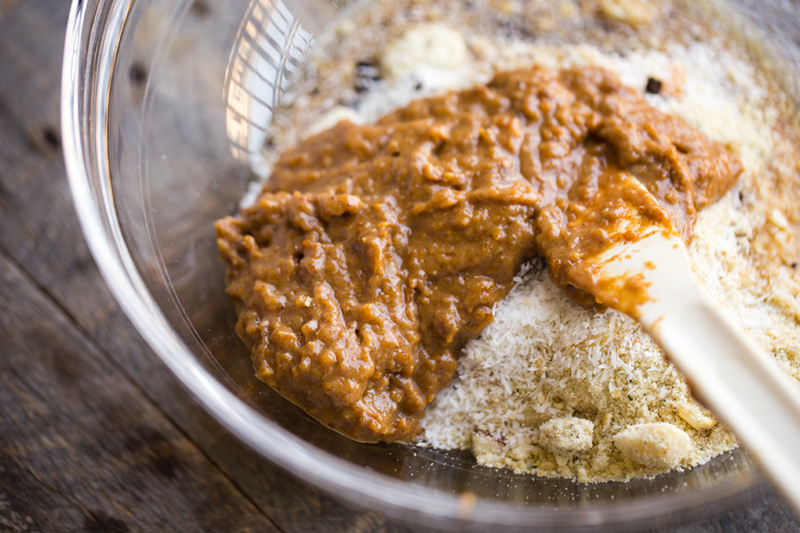 Scrape the mulberry almond butter mixture into the large mixing bowl. fold everything together. From here, you can choose to add in another 2-4 Tbsp shredded coconut if you want a bit more binding power and texture. You can also choose to add in the vegan chocolate chips. When ready, your mixture should resemble a textures cookie dough. Place the mixture into the freezer for about 15 minutes. Pull the mixture from the freezer and line a baking sheet with parchment paper. roll the mixture into balls, getting about 12-16 balls out of the bowl, depending on how large you roll them. Place the baking sheet in the freezer for another ten minutes. After ten minutes you can serve them and store the leftovers. Storage: Freezing is the optimal way to store these balls. 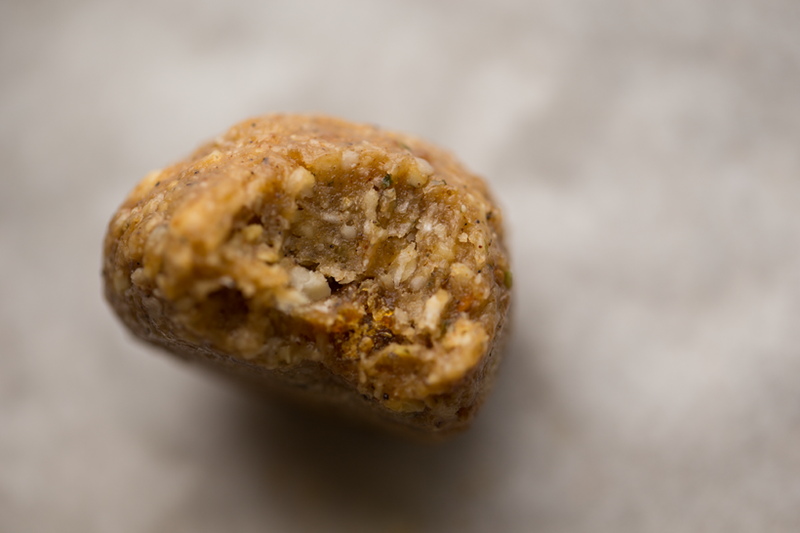 Place the balls in freezer-friendly baggies and store for up to a month. For best flavor, consume within a few weeks. Fridge: You can also store the balls in the fridge for a softer grab-n-eat texture. Balls will keep up to a week in the fridge before they start to dry out a bit and lose their moisture and full flavor. Disclosure: This post is sponsored by iHerb, but all opinions are my own. The video is not part of the sponsored content.